Antiepileptic drugs (AED) are teratogens that confer a risk of various congenital malformations including neural tube defects. Lacosamide (LCM) is a novel third-generation AED and its effects on neural tube (NT) development remain unclear. Thus, the aim of the present study was to investigate the effects of LCM in the early stages of NT development in the chicken embryo. Three different doses of LCM were applied under the embryonic disks of chicken embryos after they were incubated for 30 hours. Incubation was continued for an additional 80 hours and then all embryos were obtained for routine histology. In the LCM-treated groups, there was occlusion in the middle and ventral levels of the cavity. In the group treated with 1.60 mg of LCM, the NT cavity was closed, the notochord exhibited deterioration, and cellular association appeared abnormal. In the groups treated with 0.12 and 0.5 mg of LCM, the ectoderm layer surrounding the embryo was hypertrophic and the number of pyknotic cells increased in a dose-dependent manner. Thus, different doses of LCM had different effects. The results of this study demonstrated that LCM causes histopathological alterations during the neurulation stage that might ultimately result in the development of congenital defects and/or malformations. Unlu, A, Methods of developmental research, Acta neurochirurgica. Supplement, 2002, 83: p. 71-8. 2. Umur, AS, Selcuki, M, Bursali, A, Umur, N, Kara, B, Vatansever, HS, Duransoy, YK, Simultaneous folate intake may prevent adverse effect of valproic acid on neurulating nervous system, Child's nervous system : ChNS : official journal of the International Society for Pediatric Neurosurgery, 2012, 28(5): p. 729-37. 3. Kondo, A, Kamihira, O, Ozawa, H, Neural tube defects: prevalence, etiology and prevention, International journal of urology : official journal of the Japanese Urological Association, 2009, 16(1): p. 49-57. 4. Botto, LD, Moore, CA, Khoury, MJ, Erickson, JD, Neural-tube defects, The New England journal of medicine, 1999, 341(20): p. 1509-19. 5. Pennell, PB, Use of Antiepileptic Drugs During Pregnancy: Evolving Concepts, Neurotherapeutics : the journal of the American Society for Experimental NeuroTherapeutics, 2016, 13(4): p. 811-820. 6. Mete, M, Gurcu, B, Collu, F, Unsal, UU, Duransoy, YK, Tuglu, MI, Selcuki, M, Effects of lacosamide "a novel antiepileptic drug" in the early stages of chicken embryo development, Child's nervous system : ChNS : official journal of the International Society for Pediatric Neurosurgery, 2016, 32(9): p. 1715-9. 7. Guney, O, Canbilen, A, Konak, A, Acar, O, The effects of folic acid in the prevention of neural tube development defects caused by phenytoin in early chick embryos, Spine, 2003, 28(5): p. 442-5. 8. Hamburger, V, Hamilton, HL, A series of normal stages in the development of the chick embryo. 1951, Developmental dynamics : an official publication of the American Association of Anatomists, 1992, 195(4): p. 231-72. 9. Lindhout, D, Omtzigt, JG, Cornel, MC, Spectrum of neural-tube defects in 34 infants prenatally exposed to antiepileptic drugs, Neurology, 1992, 42(4 Suppl 5): p. 111-8. 10. Eddy, CM, Rickards, HE, Cavanna, AE, The cognitive impact of antiepileptic drugs, Therapeutic advances in neurological disorders, 2011, 4(6): p. 385-407. 11. Velez-Ruiz, NJ, Meador, KJ, Neurodevelopmental effects of fetal antiepileptic drug exposure, Drug safety, 2015, 38(3): p. 271-8. 12. Qiao, M, Malisza, KL, Del Bigio, MR, Kozlowski, P, Seshia, SS, Tuor, UI, Effect of long-term vigabatrin administration on the immature rat brain, Epilepsia, 2000, 41(6): p. 655-65. 13. Ikonomidou, C, Prenatal effects of antiepileptic drugs, Epilepsy currents, 2010, 10(2): p. 42-6. 14. Kellogg, M, Meador, KJ, Neurodevelopmental Effects of Antiepileptic Drugs, Neurochemical research, 2017, 42(7): p. 2065-2070. 15. Francine, R, Pascale, S, Aline1a, H, Congenital Anomalies: Prevalence and Risk Factors, Universal Journal of Public Health, 2014, 2: p. 58 - 63. 16. Guvenc, Y, Dalgic, A, Billur, D, Karaoglu, D, Aydin, S, Daglioglu, E, Ozdol, C, Nacar, OA, Yildirim, AE, Belen, D, The effects of levetiracetam on neural tube development in the early stage of chick embryos, Turkish neurosurgery, 2013, 23(5): p. 617-22. 17. Hill, DS, Wlodarczyk, BJ, Palacios, AM, Finnell, RH, Teratogenic effects of antiepileptic drugs, Expert review of neurotherapeutics, 2010, 10(6): p. 943-59. 18. Lattanzi, S, Cagnetti, C, Foschi, N, Provinciali, L, Silvestrini, M, Lacosamide during pregnancy and breastfeeding, Neurologia i neurochirurgia polska, 2017, 51(3): p. 266-269. 19. Coppola, G, Piccorossi, A, Operto, FF, Verrotti, A, Anticonvulsant drugs for generalized tonic-clonic epilepsy, Expert opinion on pharmacotherapy, 2017, 18(9): p. 925-936. 20. Khanna, R, Wilson, SM, Brittain, JM, Weimer, J, Sultana, R, Butterfield, A, Hensley, K, Opening Pandora’s jar: a primer on the putative roles of CRMP2 in a panoply of neurodegenerative, sensory and motor neuron, and central disorders, Future neurology, 2012, 7(6): p. 749-771. 21. Ozgural, O, Armagan, E, Bozkurt, M, Eroglu, U, Kahilogullari, G, Unlu, A, The Effect of Levetiracetam on Closure of the Midline in Early Chicken Embryos, Turkish neurosurgery, 2015, 25(5): p. 681-4. 22. 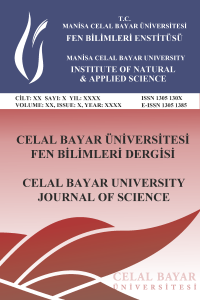 Ozer, FD, Demirel, A, Yilmaz Dilsiz, O, Aydin, M, Ozdemir, N, Uyanikgil, Y, Baka, M, Effects of Levetiracetam on neural tube development and closure of the chick embryos in ovo, Child's nervous system : ChNS : official journal of the International Society for Pediatric Neurosurgery, 2012, 28(7): p. 969-76.